Image by Gallery & Co. This vision of Singapore as some kind of tropical utopia exists only in song. For us, it's just Hot Hot Hot! 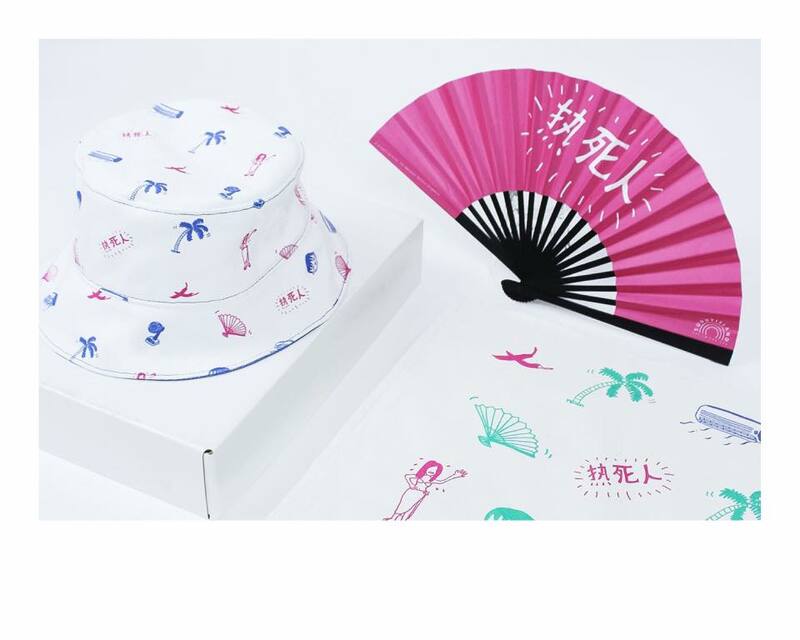 Tea towels and a paper fan carrying the "Sunny Island" design by ampulets are by Gallery&Co, available at their store at the National Gallery Singapore.